Gibraltar is a British overseas territory. Since 1704 it has been a United Kingdom possession. It is located in the south of Spain, on the edge of the Strait of Gibraltar which links the Mediterranean to the Atlantic Ocean. Since the opening of the border with Spain in 1985, the level of tourism and investment has increased dramatically. 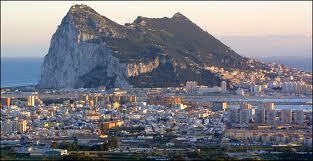 There are several international banks and insurance companies which have offices in Gibraltar. The country is part of the European Union, and for this reason Gibraltar offshore companies benefit from all of the advantages of a European company, but with a far lower tax rate. Gibraltar enjoys special status within the Community and is exempted from the Common Customs Tariff, the Common Agricultural Policy and Value Added Taxation. Gibraltar offshore company: Who and for what activities? Discover : 6 steps to create your offshore company. It was the first European jurisdiction to offer the exempt company which allows a company to be controlled and managed from Gibraltar whilst still able to enjoy preferential tax status there. As a full member of the EC pressure may be brought to bear at some time in an attempt to force Gibraltar to harmonize its taxes with other member state.